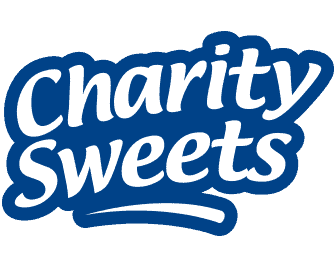 The Charity Sweets Story – Charity Sweets by Sweet causes Ltd. When he left his position on the board of directors, of what is now Virgin Media, Bob invested £60,000 to launch Sweet Causes Limited and to promote the Charity Sweets brand of confectionery. After many knock backs, recessions, sweat and tears, late nights and long weekends they have now a £3M per annum business employing 100 people and have to date donated over £500,000 to charity, his partner Sue, later joined the company on a full time in 2010 to take over all of the administration functions to the company. 2001 October 2001 Charity Sweets formed to offer local businesses a tasty snack and confectionery service, operating from hallway in our home and then from our garage. 2002 Secure commercial participation agreement with Mencap to donate half our profits to the charity. 2002 Move into first 1100 sq. ft. industrial unit in Aldridge. 2002 Place our 1000th Charity Sweet box in and around the West Midlands. 2006 Reach 10,000 customers and now operating in 20 areas. 2010 Move into 3000 sq. ft. industrial unit. 2010 Invest £80,000 in our first bagging production line and now have charity sweet boxes in 20,000 business employing 40 people. 2013 Move into purposed built 9000 sq. ft. manufacturing unit and acquire second bagging production line. 2013 Sign agreement with second charity partner – Teenage Cancer Trust. 2013 Form Hummingbird Confectionery Limited to produce both Charity Sweets and other non-charity related products, including contact packing services. 2015 Number of Charity Sweet boxes passes 40,000 mark. 2015 Reach 100 employees, including 80 Sales Collectors. 2015 Launch third commercial partnership with The Children Air Ambulance. 2016 Surpass the £500,000 figure of amount donated to our partnering charities. 2016 Sign new 3 year agreement with Mencap. 2016 Install Flow wrapper machine to enable the company to increase our product offering and creating employment for 2 more operators.